We begin today with a look at the Howard County Conservancy, a 200-acre tract of rolling hills, forest, meadow and streams called Mt. Pleasant Farm, at Woodstock, about a half-hour’s drive west of Baltimore. The Conservancy -- which marked its 25th anniversary last Sunday, introduces young people and adults to environmental stewardship and conservation. 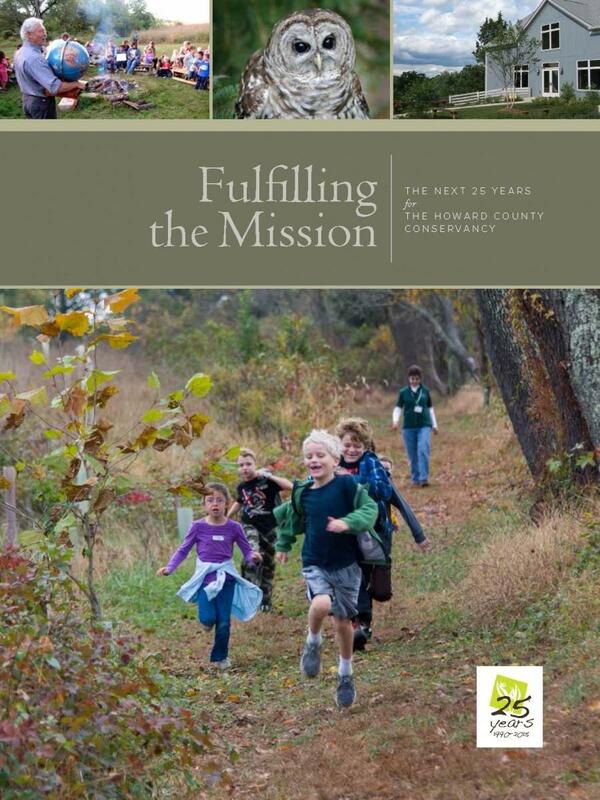 To tell us more about the Conservancy, Tom is joined in the studio by its executive director, Meg Boyd, and by Ann Strozyk, an award-winning environmental educator in the Howard County school system who is based at the Conservancy. On Friday night at 7:00, there’s a Flashlight Hike to check out the nocturnal life at the Conservancy, just in time for Halloween.